Total renovation...Turn the key and move right in! This home offers 3 bedrooms, 2 bathrooms, (the master bath has a tub, while the main bath features a walk-in shower)a Living Room, as well as, a Great Room, and a large open Kitchen with newer appliances to remain. The back yard is a good size, and completely fenced in. Renovations and updates include: Newer Roof, Furnace, A/C, Water Heater, Windows, Insulation, Insulated Duct work, Flooring, Doors, Cabinets, Lighting, Paint, Gutters, and much more! This home is conveniently located close to the crossroads of I-65 and the Watterson X-way. Please be sure to view more pictures! 1327 Cleo Ave, Louisville KY 40213 is a Home, with 3 bedrooms which is recently sold, it has 1,490 sqft, 0 sized lot, and Driveway parking. A comparable Home, has 4 bedrooms and 2.5 baths, it was built in and is located at 1264 Farmdale Ave Louisville KY 40213 and for sale by its owner at $ 149,900. 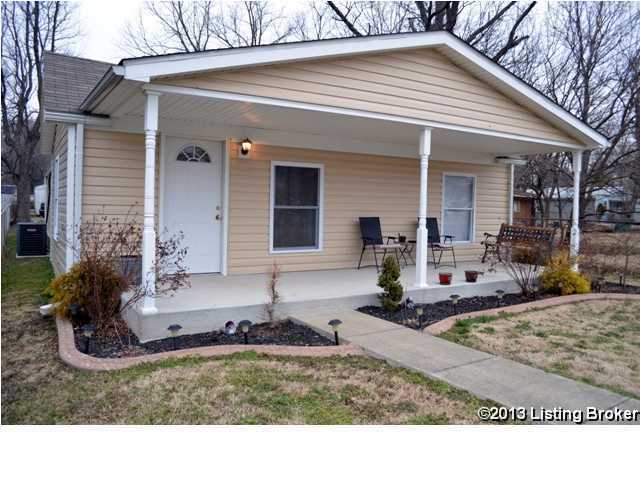 This home is located in the city of Louisville , in zip code 40213, this Jefferson County Home, it is in the NONE Subdivision, and LYNNVIEW are nearby neighborhoods.